Although being ardent dog fans, at OTT we understand the challenges involved in keeping home and car in A1 condition, whilst making sure our four legged friends are safe and comfortable. This is why, for over 20 years, we have dedicated ourselves to providing the very best of protection for dogs, homes and cars. 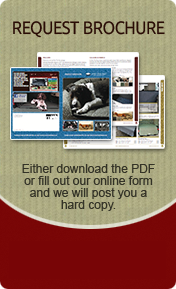 We hope you enjoy browsing through our products, including our award winning dog beds, car seat covers and boot liners. We also offer custom car sat covers and boot liners for a more tailored fit. Please feel free to contact us with any questions or special requirements for custom car seat covers or bespoke covers for any application. Custom Car Seat Covers and Boot Liners are a speciality of ours. We have templates for most 4x4’s, Estates, Hatchbacks and SUV’s so if you’re looking for Dog Car Seat Covers or Waterproof Boot Liners that will fit like a glove, visit our Custom Made Covers section of the website. Our Dog Beds, particularly the award winning OTT Dogs Bed, are firm favourites with our regular customers. Designed to be hard wearing and practical but with superb comfort for your dog, you can choose from our Waterproof Dog Bed, OTT Luxury Dogs Beds (also available as a Memory Foam Dog Bed), the Boot Bed – a specially designed Car Dog Bed to both protect your vehicle and keep your dog safe and comfortable. 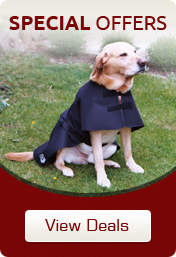 With many other products from Bumper Flaps and Car Boot Mats to Waterproof Dog Coats, Pet Ramps and Dog Harnesses, we hope you will find something on our site for both you and your dog. We continue to believe in the importance of protecting everyones best assets i.e. their cars and homes, we do so without compromising attention to the safety, comfort and health of our customers pet animals. We do enjoy hearing from and meeting our customers and our friendly and knowledgeable staff are always ready to give guidance on the phone or in person. If you are in the area please do pop in and we can show you our quality products first hand.